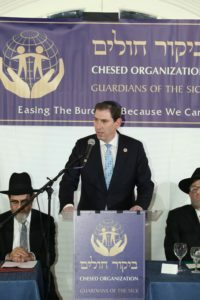 Baruch Hashem, this year’s dinner was a resounding success! 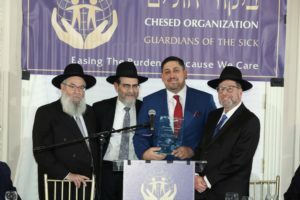 Thank you to all those who came, supported, and continue to support the Bikur Cholim Chesed Org. 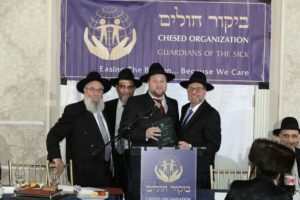 Your generosity truly makes a difference in the lives of those touched by Bikur Cholim. 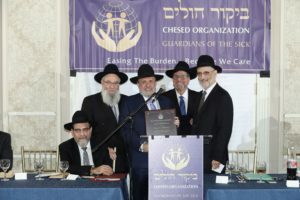 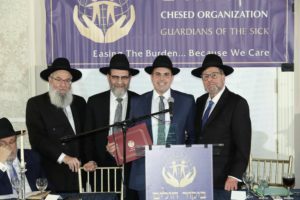 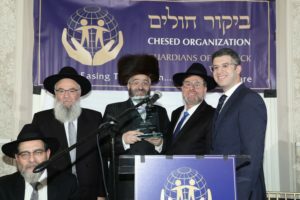 Saul N. Friedman accepting the Shearis HaPleitah Award in honor of his mother, Babi Henchu. 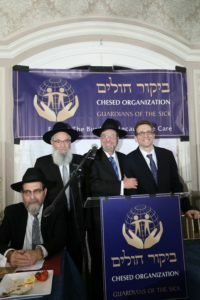 (L-R) R' Yisroel Herskovits, Saul N. Friedman, R' Avi Fishof, R' Chaim Dovid Zwiebel.